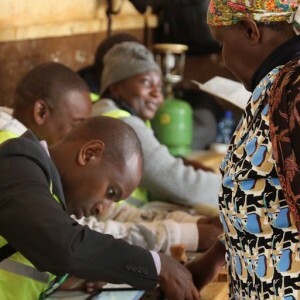 Election observer missions are under fire after the recent Kenyan elections, which most observers declared free and fair – a verdict overturned by the country’s Supreme Court. Some international election observers are being described as ‘tourists’ who arrive in a country a few days before the vote and rubber-stamp elections based on what they see on voting day. Local observers from civil society, however, have steadily upped their game – against difficult odds. Since they are based in the country, they manage to follow the entire voting cycle and can gauge the political environment – from voter registration, campaigning and media use for party purposes, to the process as it unfolds on voting day. Southern African Development Community (SADC) principles and guidelines governing democratic elections are in some cases being used by civil society to point out where governments are not adhering to instruments they ratified. The European Union (EU), the United Nations Development Programme and others have also put in place systems to build capacity among local observers. Greater access to voters through social media is also strengthening the role of opposition parties, activists and civil society observers. In Angola’s recent elections, civil society organisations came up with alternative results, carefully monitored the use of state media by the ruling party and expressed concern throughout the process over the actions of the electoral governing bodies. But civil society organisations’ voices are often not heard – neither internationally nor by their own governments. Local observers try to hold government to account when it comes to free and fair elections, but the media often doesn’t pay attention, said Luis Jimbo, Angolan Electoral Observatory executive director. He was speaking at a discussion in Johannesburg organised by the Open Society Initiative for Southern Africa (OSISA) on Angola’s recent elections. The results of the 23 August poll that saw the ruling Popular Movement for the Liberation of Angola (MPLA) win by 61% are being disputed by the opposition – but the Constitutional Court on 1 September refused their request to have these results nullified. Nonetheless, observer bodies in Angola agree that the main problem with the recent elections wasn’t so much the tallying on the day, but the entire process. The electoral management body, for example, is set up proportionally to reflect Parliament’s party representation, so is dominated by ruling party representatives. The voters roll, containing nine million people out of a total population of 24 million, is also contested for irregularity and omissions. In 14 of Angola’s 18 provinces people have access only to public radio – a powerful tool for ruling party propaganda. And the governing party used official events in order to campaign. Jiku, a local monitoring body that also does electoral education, estimated that 84% of news in the run-up to the polls was dominated by MPLA or government news. One of the OSISA discussion participants said foreign observers were really just ‘tourists’ who flew in and out of Luanda and made judgements on the little they saw. Angola’s civil society activists believe those outside observers who could have been critical of the process, such as ambassadors based in Luanda, are reluctant to speak out to protect their economic interests. The EU sent only a small team of observers to Angola, and the African Union (AU) sent a short-term observation mission. The 70-member SADC mission, headed by a former Tanzanian minister, concluded in its preliminary report that ‘the pre-election and election phases of the process were evidently free, fair and transparent’. Observers are worried that the strong gains made by the opposition, especially in places like Luanda, will ironically lead to more repression against democracy activists rather than open up the political space. The ruling MPLA’s candidate João Lourenço, expected to be sworn in as president on 21 September, will probably answer peaceful protests with a security crackdown. Intimidation and threats have already started. Few incumbent governments, especially those in Central Africa, are willing to buckle under pressure from election observers and the opposition. Meanwhile, looking forward to key elections to be held mid-2018, electoral monitoring bodies in Zimbabwe are under huge pressure from the ruling Zimbabwe African National Union – Patriotic Front (Zanu-PF). ISS consultant on Zimbabwe Derek Matyszak says because of this, the Zimbabwe Election Support Network that includes 34 civil society organisations and is mandated to promote democratic elections, appears to pull its punches when assessing the independence of the Zimbabwe Electoral Commission. The National Election Reform Agenda also lost some credibility when it appointed former Zanu-PF intelligence minister Didymus Mutasa as its spokesperson. The civil society organisation most likely to hold the government accountable is the Election Resource Centre, a non-government organisation that has been campaigning for electoral reform and is urging citizens to register in the run-up to 2018. Last month it urged SADC leaders to deal with their ‘unfinished business’ in Zimbabwe by ensuring implementation of the new constitution that was drawn up by the SADC-instigated Government of National Unity between 2009 and 2013. It called upon SADC to ensure a transparent and democratic poll in Zimbabwe. Matyszak is not optimistic that civil society campaigns such as these will ensure a free and fair poll. Intimidation, the control of Zanu-PF over local institutions in rural areas – where 70% of Zimbabweans will vote – and serious flaws in the voters roll could scupper Zimbabweans’ chances for a democratic outcome. As long as ruling parties and incumbent presidents keep a stranglehold on election processes, local observers and activists will find it difficult to make a significant impact. Locals have the advantage of being based in the country concerned and can observe the evolution of the process over a longer period of time. Ideally, international observers should consult with local civil society organisations and monitoring bodies before making their findings.